After lunch, we entered Yellowstone National Park for the first time. 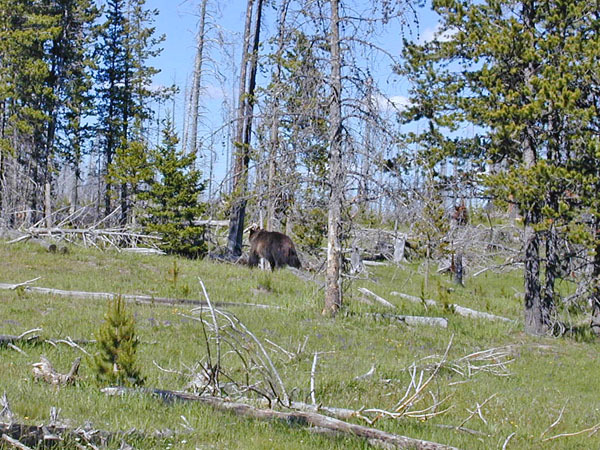 We headed toward Old Faithful (above), but along the way we met some of the park's residents. Many animals have their homes in Yellowstone, but the most abundant of them all is the Buffalo. They don't move much and when they do it is usually very slowly. 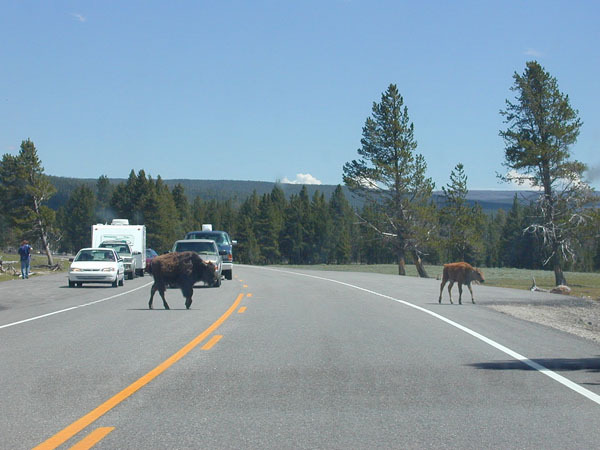 When crossing the roads they take their time thus causing a "Buffalo Jam." 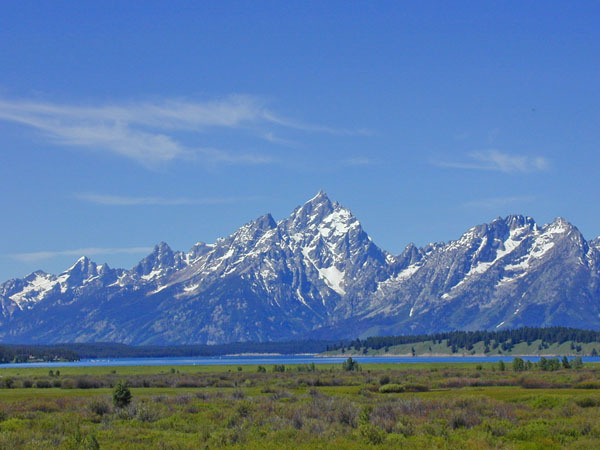 Another beautiful area in Wyoming is the Grand Teton range. For this part of the journey we headed down from Yellowstone toward Jackson (Jackson Hole). After lunch and some shopping in town, we went to Rendezvous Mountain. 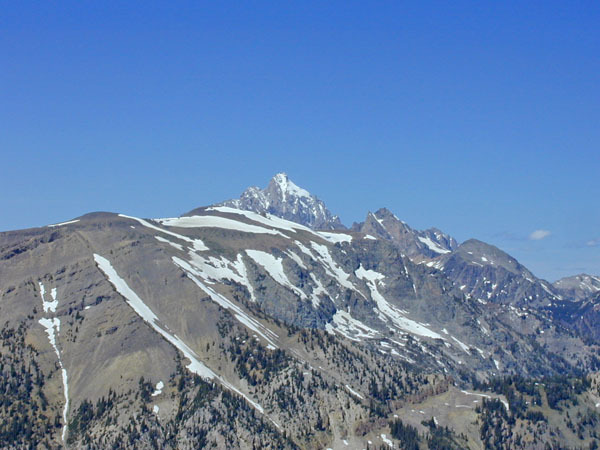 This is a commercial ski area in the winter and in the "summer," just a wonderful view: to the north is Grand Teton; to the south is the southern part of the Teton range. We had a snowball fight at the top of the mountain -- not something I am used to in Texas in June! This day was strictly Yellowstone. We did the north loop and the bottom part of the south loop. 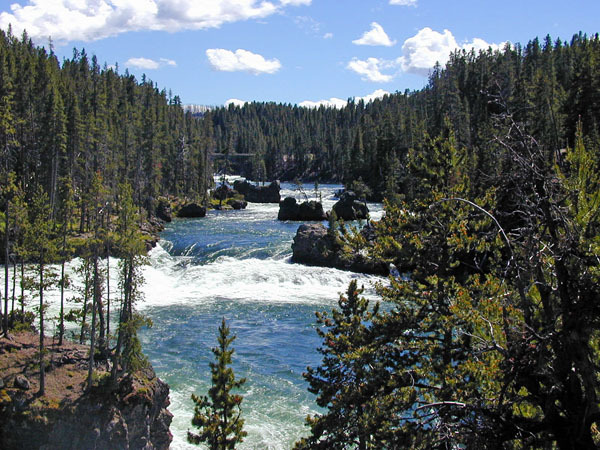 The eastern side of the loop is bounded by the Yellowstone "Grand Canyon" (left is one of the falls). However, this day quickly became our "bear" day. 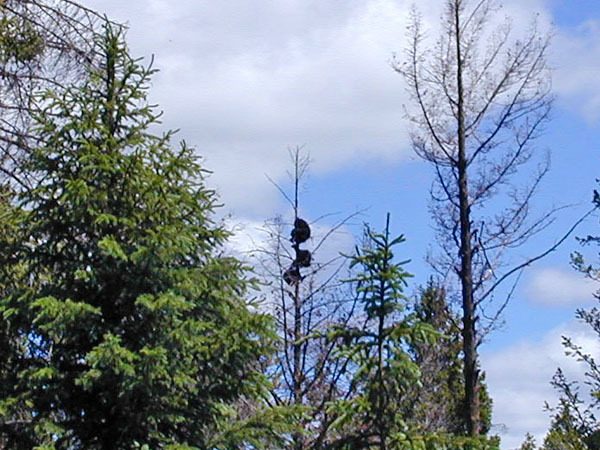 We saw some baby bears and their mother who had climbed a tree to escape a larger bear (below left). Later, we saw a Grizzly very close to the road (below right). Both of these experiences introduced us to "Bear Jams" as traffic stopped and blocked the road to see the animals. 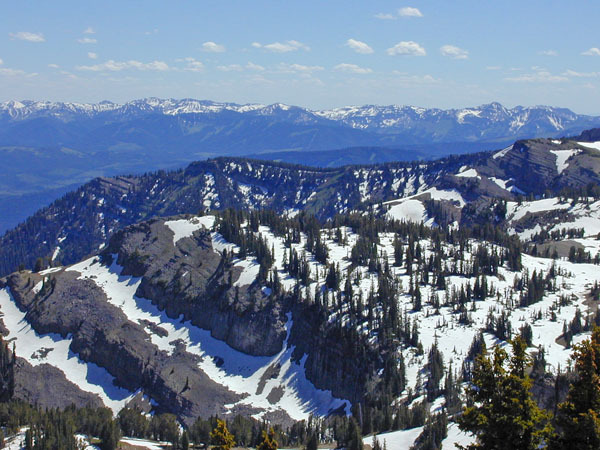 There is so much to see in Yellowstone that a three day trip is only going to cover the most important parts of the park, and then in not great detail. It's a beautiful park with many treasures.